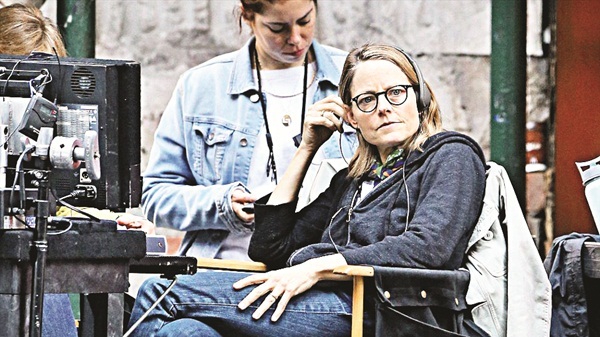 After earning her Walk of Fame star just last week, Academy Award winner Jodie Foster, is all set for the release of her latest directorial venture, Money Monster. Screening at the Cannes this Thursday, the much awaited thriller stars Julia Roberts and George Clooney and is about a television host (Clooney) taken hostage by a viewer. The American actress and director talks about the cast and the challenges she faced while making the film, her fourth directorial venture. Tell us about Money Monster. Ita��s based in the world of finance and media, and how they connect. But for me, ita��s a small story about character and people. Everything else is there to serve the two characters (Clooney and Roberts) and explore the bigger meanings: why money and value get combined. How was it to direct Clooney and Roberts? Through what I refer to as a�?the miracle of filmmaking,a�? Roberts a�� who plays Leea��s producer Patty Fenn a�� and Clooney filmed their parts at entirely different times. It was a different scenario from their prior films. What challenges did you face while shooting? We had a thousand extras at one point, SWAT guys, a helicopter, a G5 [jet] landing! But the hardest part was shot in room about four feet by 10 feet: the control room with Julia Roberts. Ita��s where we filmed roughly three-quarters of the movie, and where Roberts acted opposite no one. She was staring at monitor screens which were green. Do you often think of yourself as a failure? Oh my God, yeah. If Mother Teresa is propelled to do good work because she believes in God, I am propelled to do good work because of how bad I feel about myself. Has Hollywood really opened up to women filmmaker? There have always been independent female filmmakers although not in the greatest numbers, even international ones. It was America that has been the last in the mainstream arena. It took us this long to get here and I think women are very sensitive to not throwing away their dreams when they finally get a taste of it.